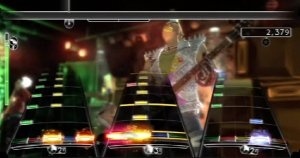 Activision did not make Rock Band, Harmonix did. Wish I had a better excuse for that than epic brain freeze, but thanks to all for pointing out the error nonetheless. I like these kinds of games, but I'll never purchase one myself. Too much money, and I always get bored of all of my new games in like a week and start playing Final Fantasy XI again. This really isn't that big of a surprise. Rock Band=lotsa $$, Rock Band 2=even more $$. It was just a matter of time. Companies must love these games: create the game once, tweak it, and slap a number on it - voila more money. That's word for word EA's mission statement. I'm sorry to be the negative one about this announcement, but Harmonix haven't even shipped the game into Australia yet, and they have already announced RB2? So now that this is out, what's the point in retailers even stocking this title, espesually when they are saying that it's coming out in September?? Nice work EA/Harmonix... thanks for forgetting about the people who have been patiently waiting for this game for the last year while everyone else has been able to play it. I'd rather they went back and fixed RB1 for the Wii....But now that I know RB2 is on the way I can wait for that and hope they get it right. If not GH4 Wii has promised a lot. Why does it feel like Activision will announce "Guitar Hero: Times Infinity" and Harmonix will announce "Rock Band Times Infinity: Plus One". Aren't some palces in the world still not getting the first Rockband? Sounds to me like they're getting ahead of themselves. I hope they rot in hell and the game epic fails. Rockband finally made it over here (UK), like a month ago. Now they announce a sequel? No thanks Harmonix, I'll get GH: World Tour instead, at least I know they'll sell it here within 6 months of the rest of the world. Great, now I just need to pay off the loan I had to take out to buy the first Rock Band.